Emotional Abuse research papers show the psychological affects of emotional abuse on a child or an adult that is a victim of abuse. 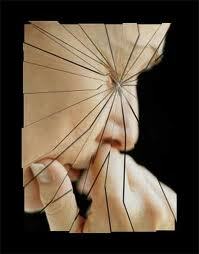 Emotional abuse is a type of psychological abuse that causes trauma and mental illness. Many people assume that if a woman or man is not being physically abused, they are not suffering from abuse. However, when you research emotional abuse, it will be clearly revealed that emotional abuse is just as damaging as physical abuse. Often times emotional abuse is a slow breaking down of a person’s self-worth or self- esteem no matter how emotionally intelligent they are. Self-esteem is reduced to such a low point that one feels they cannot live without the abuser. This is the state in which the emotional abuser is at his or her pinnacle of power. When embarking on research on emotional abuse, be sure to keep in mind that in the American family emotional abuse is both a male and female problem. While females in a relationship are more likely to be victims of emotional abuse, many men also are victims. Emotional abuse is one area that a woman can abuse a man and exert power over him to counteract her inability to physically abuse a person stronger than her. 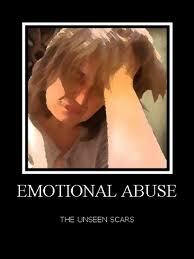 According to WomensLaw.org there are often clear warning signs of someone who is emotionally abused. These warning signs can be witnessed in a person who seems afraid of or overly anxious to please their partner. They may also appear to agree to anything their partner says and be unwilling to voice an opinion contrary to his or hers. Another sign is checking in frequently with a partner and reporting activities or where they are. Someone who has to tell their partner at all times where they are is dealing with a controlling individual and does not have the freedom to utilize their time as they see fit. Listen for the person to talk about their partner or spouse’s possessiveness or tendency towards jealousy. Also, does the person seldom go out in public by his or her self? Do they have access to all their money and financial information? Are they able to see friends and family whenever they like? Paper Masters writes custom research papers on Emotional Abuse and show the psychological affects of emotional abuse on a child or an adult that is a victim of abuse.